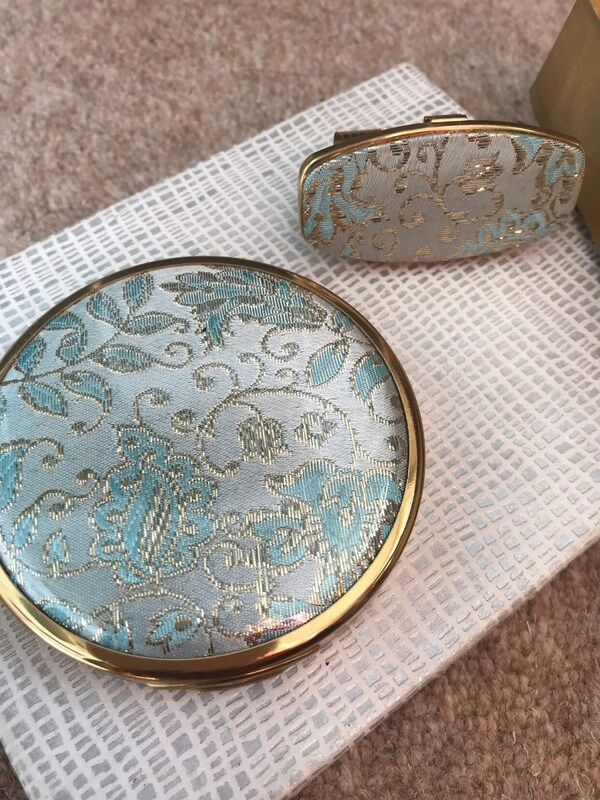 Here is a lovely unused vintage set from the 1950s. 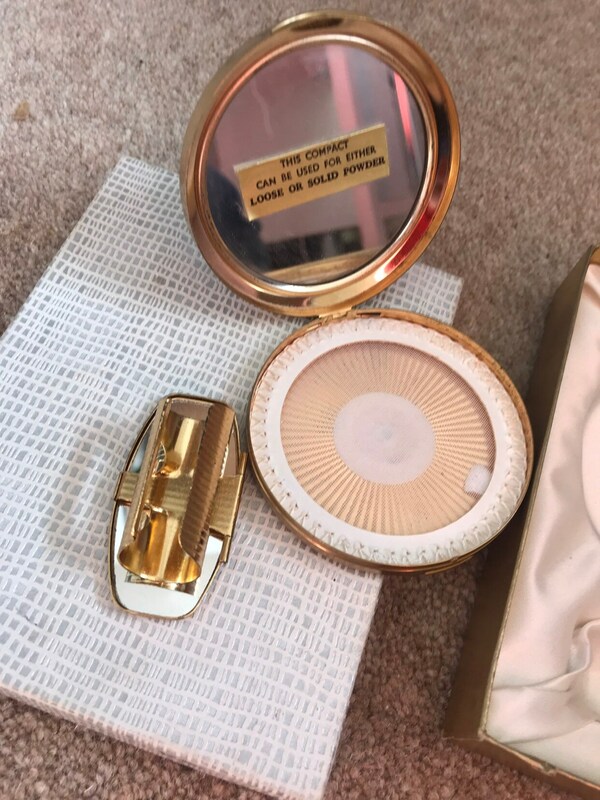 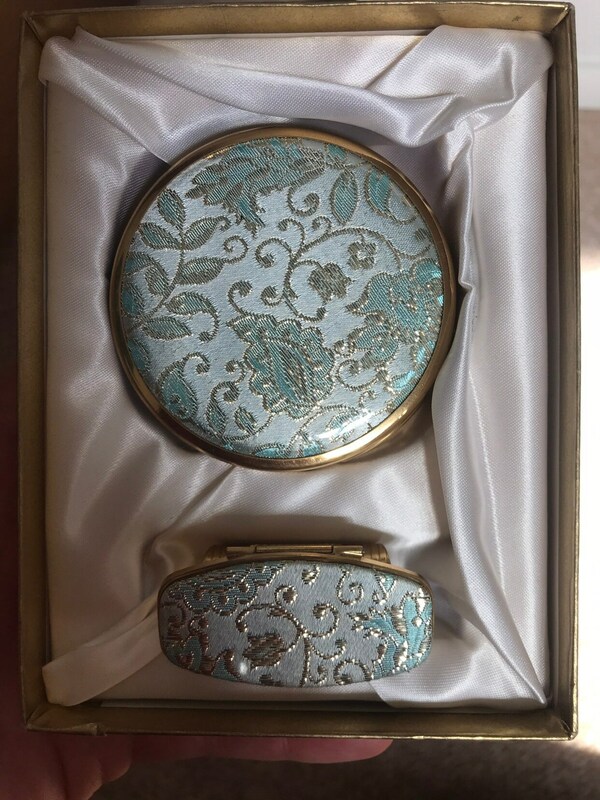 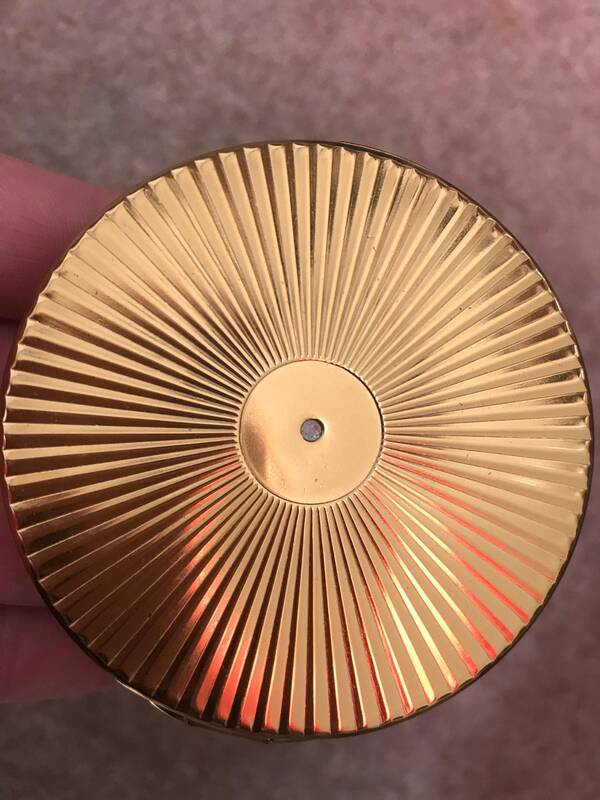 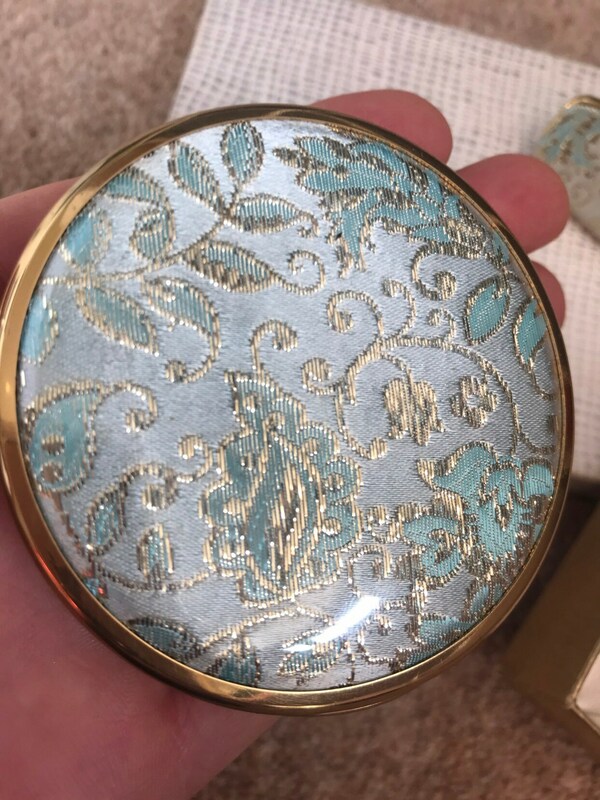 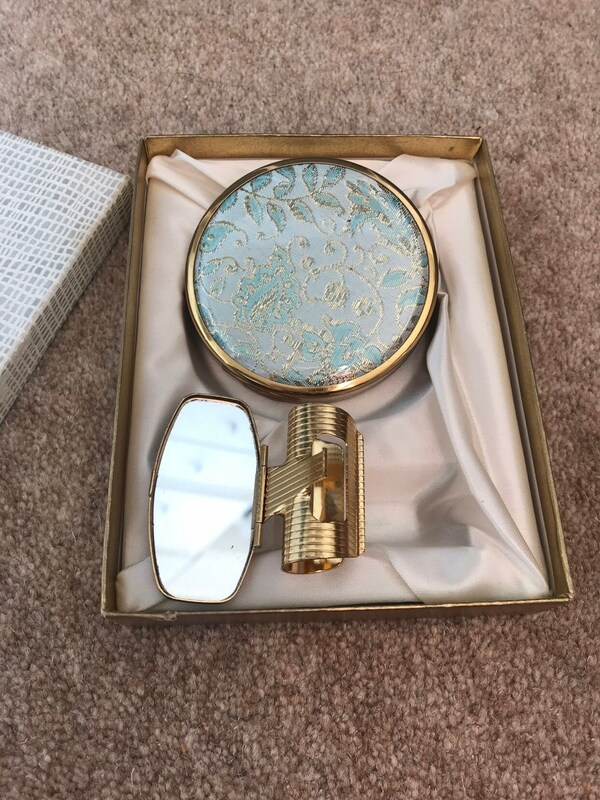 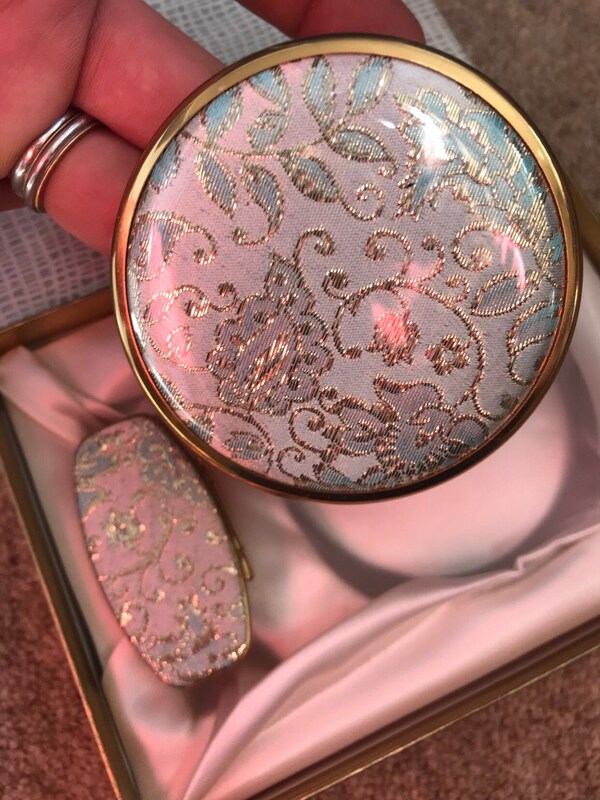 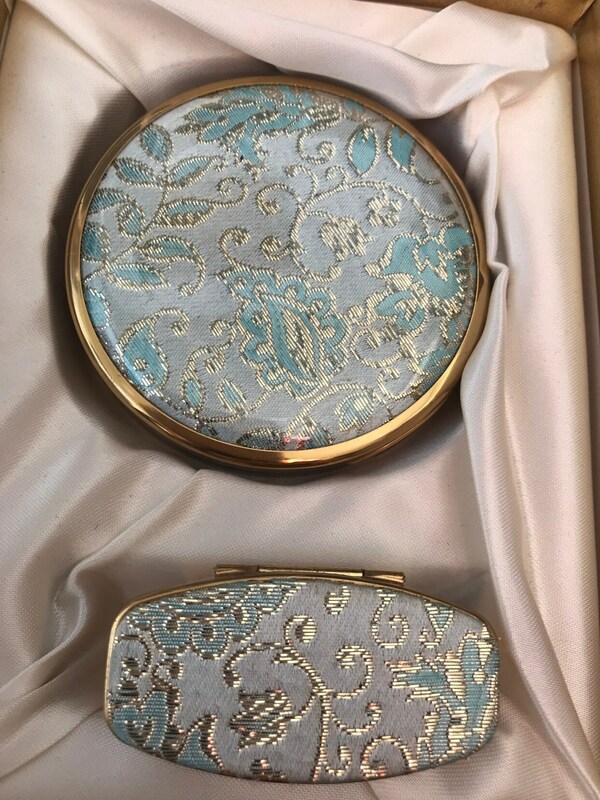 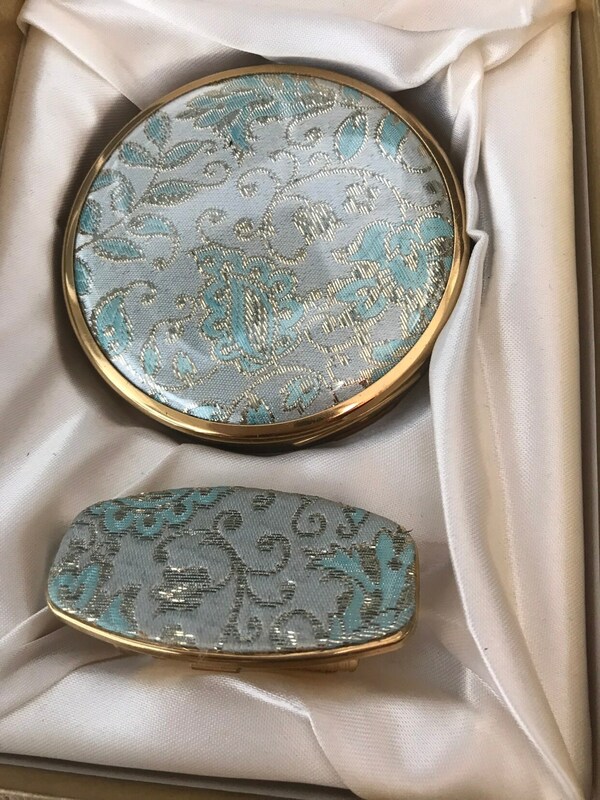 It features a boxed compact and lipstick mirror set with a blue tapestry backing. 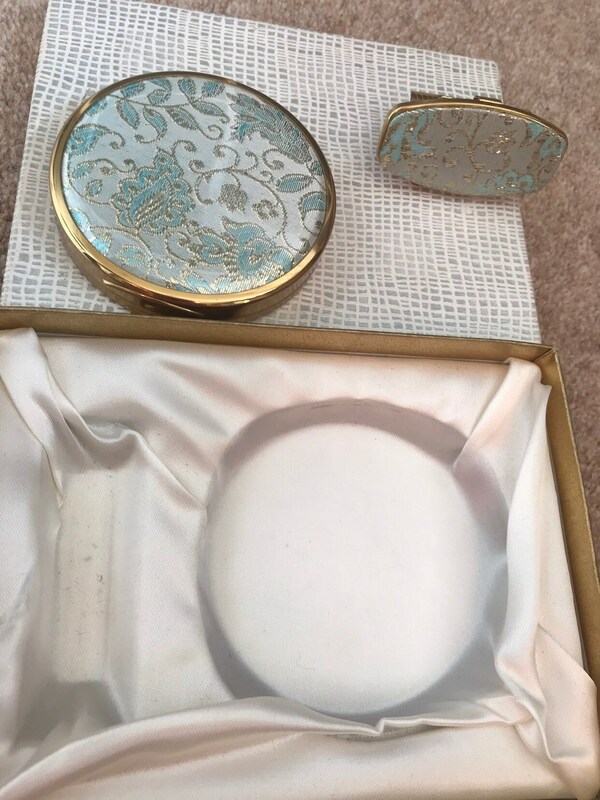 Both pieces remain in excellent condition with no damage and look completely unused.